Set in the 1970s, this covert operations thriller is a cut above your average military escapade. Although its main plot is fairly simple – tracking down and rescuing a kidnapped congressman’s daughter – it’s the superb characterisation of its star, John Drake, that makes this novel such a riveting read. Right from chapter one, the descriptions are vivid, and thanks to the author’s skilful narrative, the reader feels the locations that the plot visits; take the bar in Morocco for example; “wooden framed and plastered with a tan adobe, it’s color barely distinguishable from the surrounding desert” – with this and other descriptions, you can almost feel the heat and taste the sand in between your teeth. Drake’s backstory is compelling; we don’t meet him when he’s the highly-trained covert agent that he turns out to be, instead, we are first introduced to him in a college baseball game. It’s during this game that one error of judgement alters the course of his life. We get to witness the evolution of this complex character every step of the way; a man with some scores to settle, including with some friends and one family member, yet constantly battling with his conscience as he goes about his grim business. There is a side plot involving a scheming US general with a far-fetched plot to wrestle control of the world’s oil away from OPEC, but thankfully, this only occupies a small part of the book and doesn’t detract from Drake’s story. The two plot strands come together nicely at the end of the book and make for a satisfactory conclusion to this highly-accomplished thriller. Patrick served his country at Fort Benning in the 1980s, with a specialty in Advanced Infantry Training. 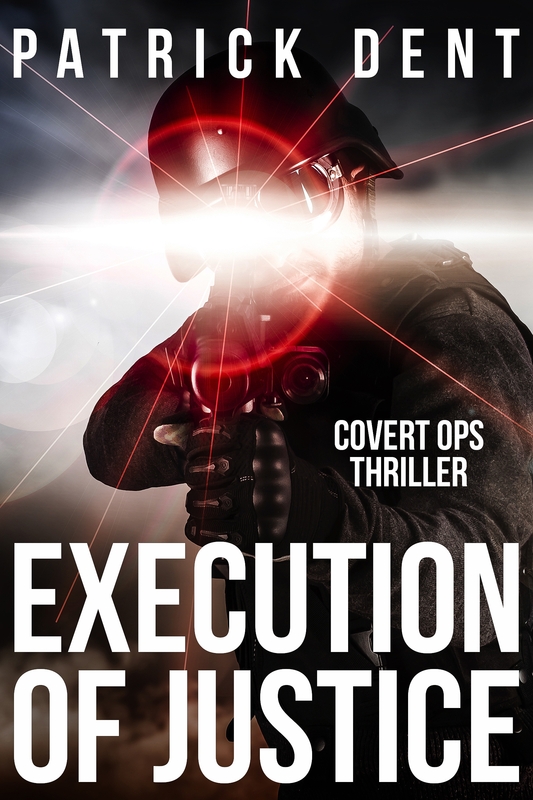 A conversation Patrick had with a schizophrenic veteran who believed he was a secret assassin sparked an idea that would eventually inspire him to write his first novel, Execution of Justice. After the military, Patrick attended Presbyterian College, where he majored in Political Science and began to have short fiction published in PC's literary magazine, Figs and Thistles. He eventually earned a Masters Degree in Chemistry. His GRE scores qualified him for entry into Mensa. While Patrick's military and Political Science background provided excellent groundwork for Execution of Justice, the Chemist in him has generated a new techno-thriller series, Mortal Coil. The first book in the Mortal Coil series will be released in 2018. Themes include the hubris of Man and the catastrophic possibilities of genetic engineering. Patrick lives in South Carolina with his wife and newest son.